1. Conditioning: Try using rich conditioning treatments to combat the low moisture content of the cold outside here and artificially heated inside air. 2. Rinse Cold. Be sure to rinse hair with cool water to seal the hair follicles after washing conditioning. This gives her a lovely glossy shine. 3. Volumise. Hats can cause hair to look flat and lifeless. To combat this it’s a good idea to use a volumising shampoo and conditioner before blow drying. 4. Oil. Using an intensive hair oil treatment once a week can really make a huge difference to how your hair looks & feels in winter. It can help to banish frizz and give hair a really sleek look and feel. 5. Styling Product. Use a quality styling product such as a mouse, wax, or hair fudge to prevent flyaway hair; which can be a particular problem during the winter months. Another point to remember is that hair can start to look dull and lifeless if you leave too long between cuts. Try and get your hair cut every 6 to 8 weeks to help to keep your hair in the best possible condition. 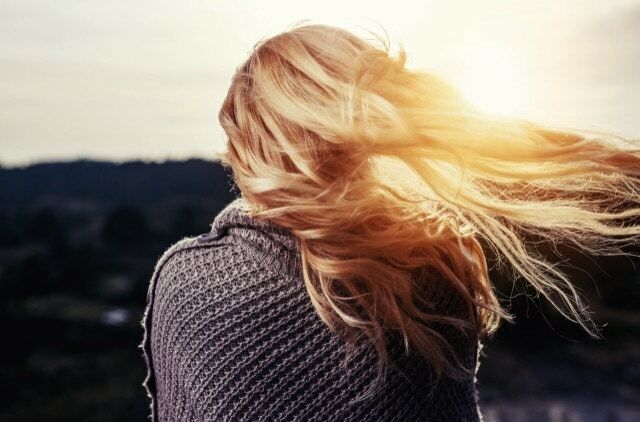 I really hope that this post helps you achieve and maintain healthy, glossy locks throughout the autumn and winter months. Disclosure: this post was commissioned by Capital Hair & Beauty.